I’m the type of girl that still dots the “I” in her name with a heart. So you can imagine how excited I am when Valentine’s Day approaches and there are tons of heart items (and pink too!) in the store. Here you will find a few of my current favorite heart items from Tibi to Tiffany. I LOVE Valentine's Day! And these are all beautiful... they really do make my heart go pitter patter! great picks - can't go wrong! I love heart items! I have lots of necklaces but need to add more to my wardrobe. Actually my post today has a heart sweater I just bought on it! Ahh fun! I have a hearts post scheduled to come out too! I absolutely love Valentine's Day! 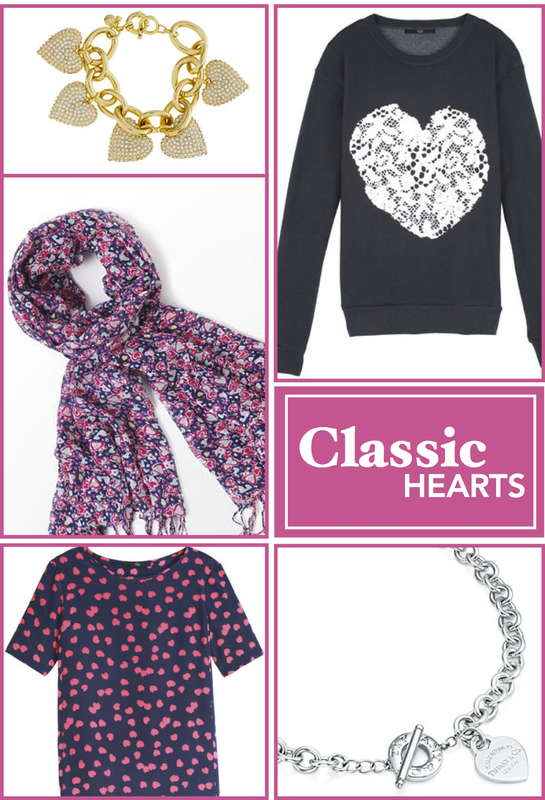 Such a fun post and I love the heart top!